Robots are going to work in Japanese banks, hospitals and schools, but keep your expectations low. 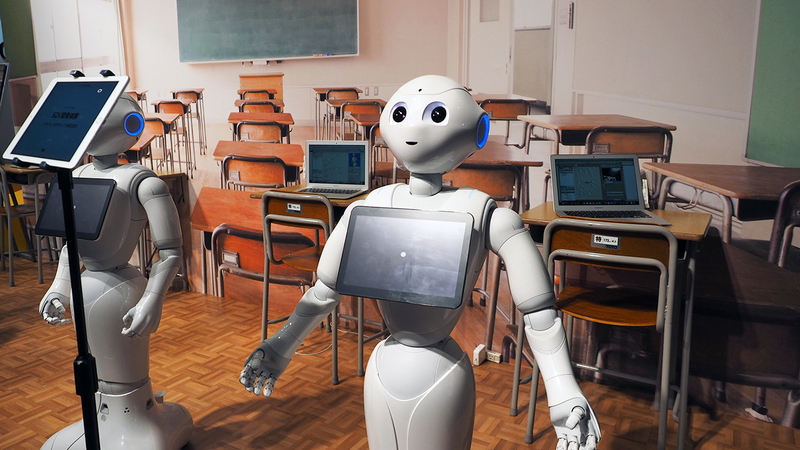 Pepper the home robot is looking for work. According to SoftBank, the Japanese company behind the humanoid bot that looks like a friendlier version of an anime villain, this is the year that robots start working for us. That said, businesses are keeping tasks simple. Easy, uncomplicated, dull, simple. So far Pepper has made its way into 500 companies. This week I toured Pepper's early career options.